I sat down and wrote a brief holiday instrumental last night and I wanted to share it with you. It was swirling around in my head like a gentle snow at night in the forest. Hope you and yours have a great holiday season. 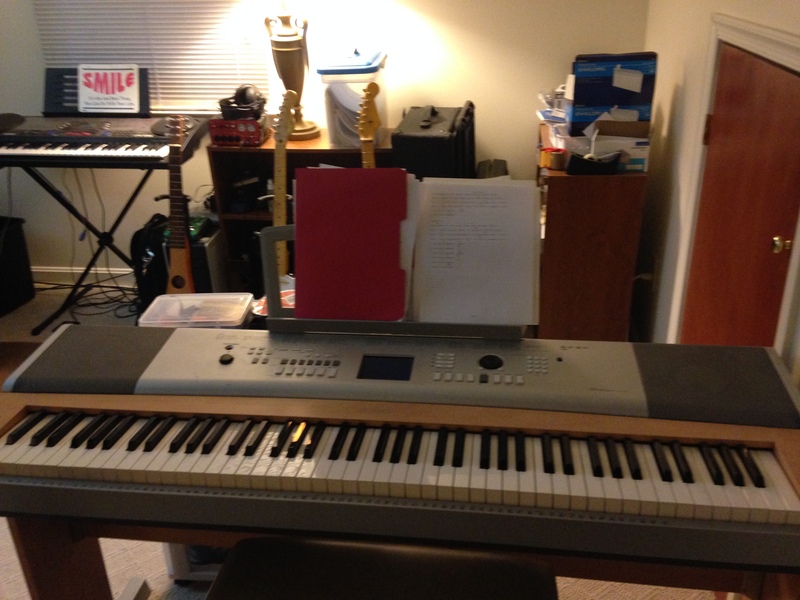 It’s not too fancy, but neither am I.
I try to get in there once a day and do something with music. Leave me a comment, what do you think? 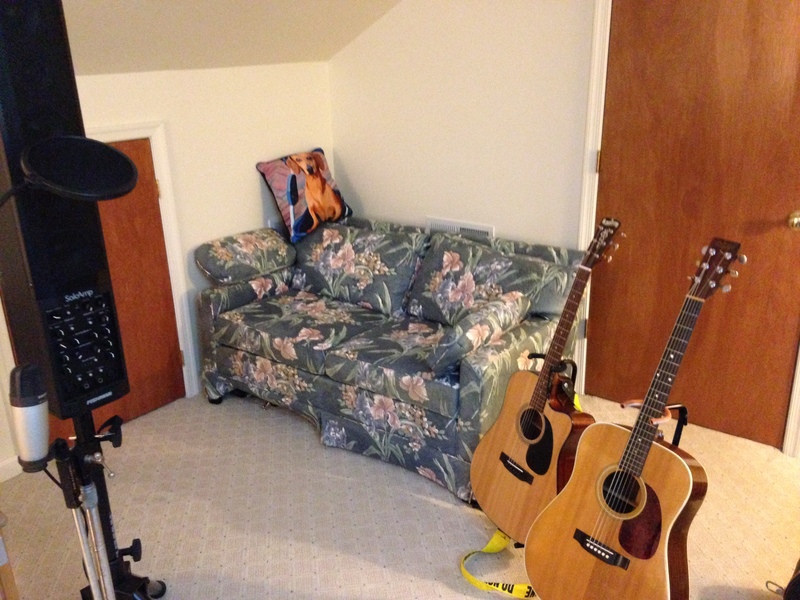 The guitars are callin’ me..
Lotta stuff in a small space.